We’re currently accepting applications for the 2019-2021 intake of the Executive MBA program, which kicks off in September. The first step is to attend one of our upcoming Open Days to get a taste of the IESE experience. You can also set up an informative meeting with one of our EMBA advisors, who will analyze your current professional map and explain the program and admissions process in greater detail. You’ll find the steps outlined below, as well as information on admissions tests, key dates and financing options. The admissions process begins when you submit your online application. Your Graduate Management Admission Test (GMAT) or Executive Assessment (EA) results, unless you opt to take the IESE Test. Minimum scores required: Listening & Reading: 850; Speaking: 150; Writing: 150. – English is their native language. – All of their university courses have been taught in English. 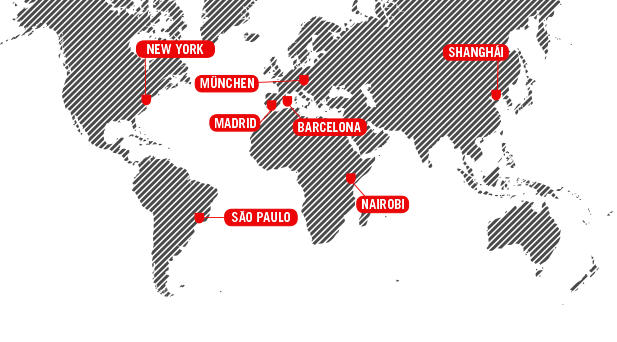 – They can demonstrate they have lived and worked in an English-speaking country for at least two consecutive years. Letter of support from your current employer, in which they refer to your intention to enroll in IESE’s Executive MBA. Degree and academic experience including grades. Later on you will need to provide IESE with the originals. The admissions tests for the IESE Executive MBA are designed to assess whether you would be able to gain the maximum benefit from the program. You can choose to take the Graduate Management Admission Test (GMAT), Executive Assessment (EA) or IESE Test. The IESE Test assesses your knowledge of basic math skills, verbal reasoning and analytical writing. 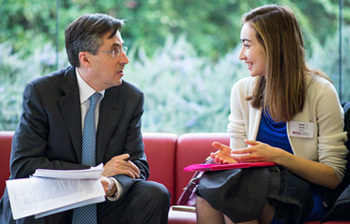 The multiple-choice test is conducted in Spanish and in English on the IESE campus. Both the mathematical and verbal elements of the test require prior preparation. IESE’s test doesn’t have its own specific preparatory material, but its content is very similar to that of the GMAT . Your GMAT results should be sent directly to IESE by the Graduate Management Admission Council (GMAC). You’ll be able to select the IESE Executive MBA as a recipient of your official GMAT score report before taking the exam. The code for the Executive MBA in Madrid is S21-G2-71, while the code for the Executive MBA in Barcelona is S21-G2-35. Your EA results should be sent directly to IESE by the Graduate Management Admission Council (GMAC). 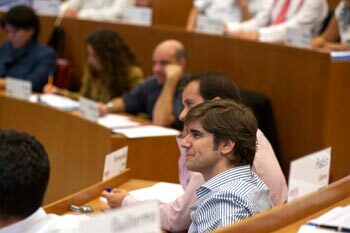 You’ll be able to select the IESE Executive MBA as a recipient of your official EA score report before taking the exam. The code for the Executive MBA in Madrid is S21-G2-71, while the code for the Executive MBA in Barcelona is S21-G2-35. Once you have submitted your application and passed the admissions requirements, you’ll meet with one of our program managers for a personal interview. The Admissions Committee will evaluate your application and communicate their decision by post or e-mail.